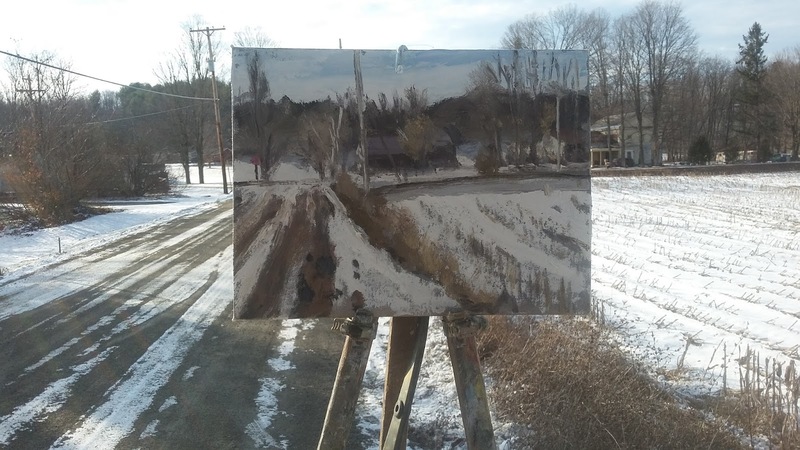 Matt Chinian Painting Blog: Brownell Corners Rd., yesterday. 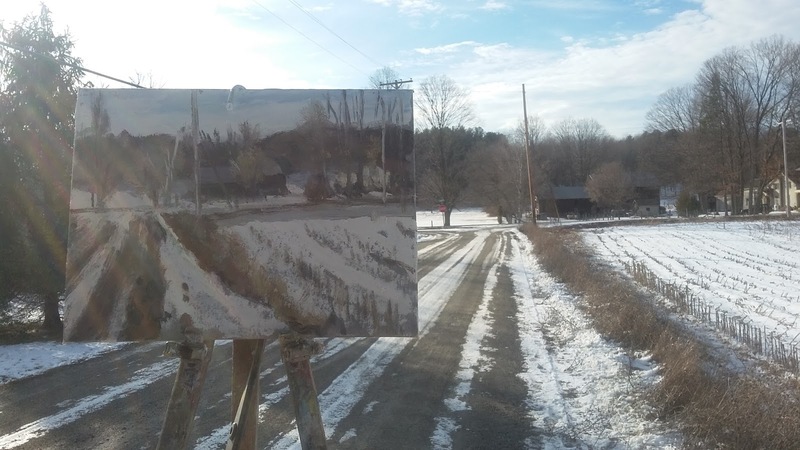 There is ebb and flow in this painting life, this weekend was very social, with friends, dinners and a few beers, and mostly it's been cloudy. We had a little snow and I like painting that, but since it fell on friday, it's pretty much gone now, so I don't feel too guilty about not getting out and painting it. 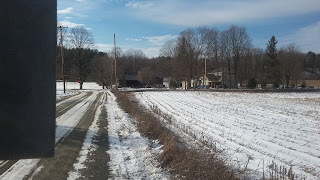 I love the fields when the corn stalks stick out of the snow. About 1/2 way through, there is very little color, but lots of subtle, dark grey. 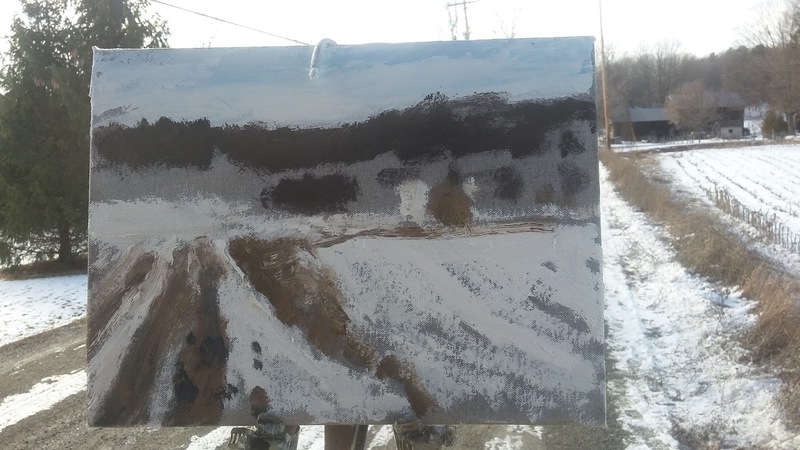 My pallet, it's been mostly frozen and kept outside, so it hasn't dried, even the scraped paint, but I like starting on the muddy mess. 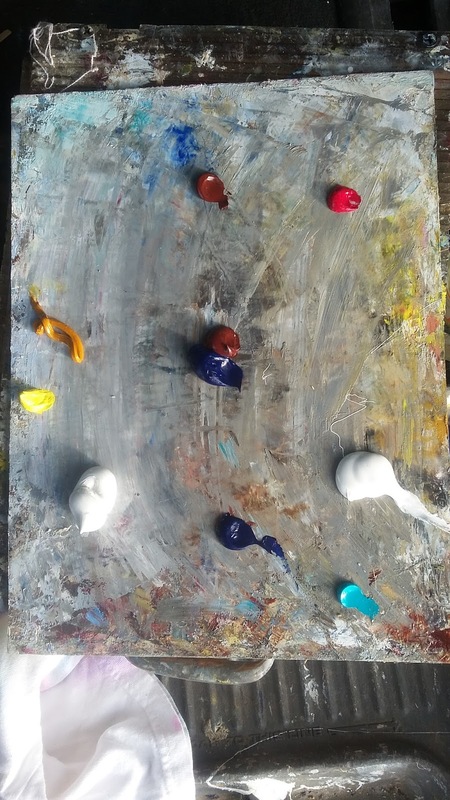 A clean pallet is way overrated. 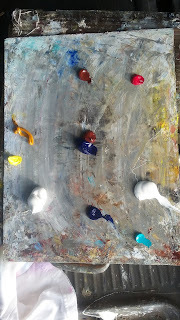 In the ebb and flow of this painting life, I will have some of yesterday's paint in tomorrow's painting, you might not know it's there but I will, good or bad there it is, one painting to the next, the same painting done over, done again, and just maybe I'll get it right this time, or the next. #706 Brownell Corners Rd. @ Turnpike Rd. Labels: Cambridge, Landscape painting, NY, NY . Barn.